What have I been up to this summer? Flying coast to coast having meetings for BeautyNow, taking some great family vacations, and, oh, you know, creating human life. In case you missed my announcement on Instagram, I’m due with baby #3 in October! 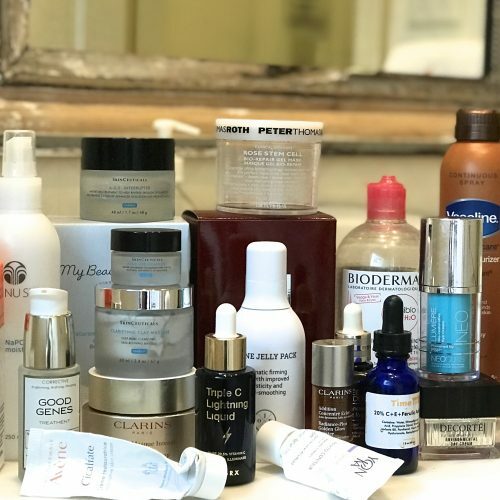 And since I’m pregnant at the ripe, old-ish age of 36 and wisely abstaining from my usual Botox and retinol, I’ve been spending a lot of effort on skincare to make sure I don’t look haggard by baby time. And it’s working! 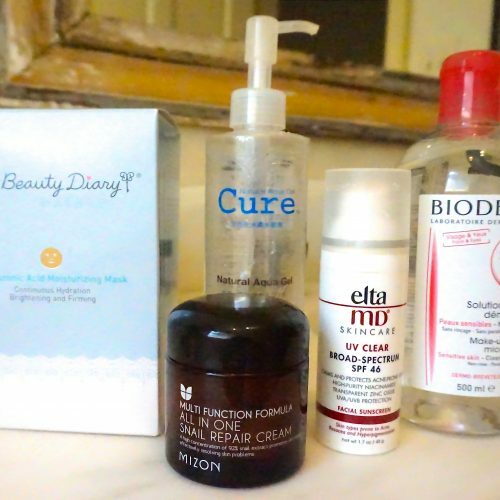 This post is about my pregnancy skincare routine, although the products I’ve been using are great for non-pregnant people too, I would just add in a retinoid step at night. In general during pregnancy you should to avoid all Retinol/Retinoids, Salicylic Acid (like in acne medication), and Hydroquinone (to fade spots). No Botox, Fillers (Restylane, Juvederm, etc.) or Latisse (to grow your lashes) either. And when I tried to book a body scrub at a spa during vacation, they denied this pregnant mama. Why??? Are you going to scrub the baby out of me? Ridiculous. 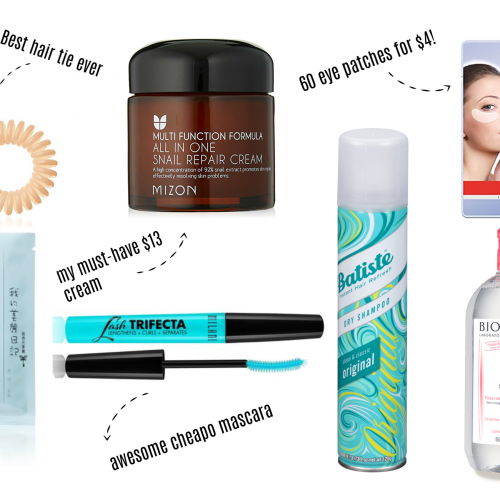 Anyway, foregoing my usual anti-aging staples could mean a sad state of affairs for my skin, but I’ve developed a routine that has surprisingly kept my face together this whole pregnancy. 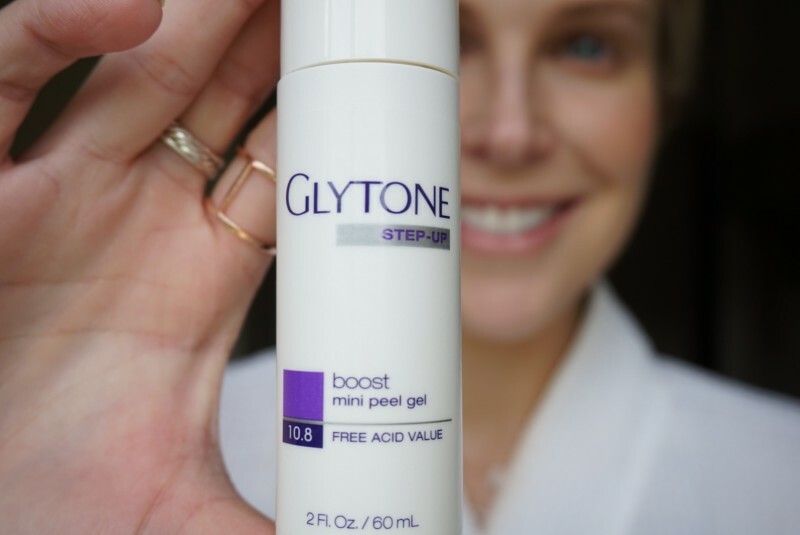 Since I can’t use my usual retinoids to speed cell turnover and promote collagen production (the stuff that keeps your skin plump and young-looking), I have been relying on totally safe glycolic acid and lactic acid to keep me glowy. These acids exfoliate the skin, helping skincare products penetrate better, making pores appear smaller, and keeping dark spots at bay. 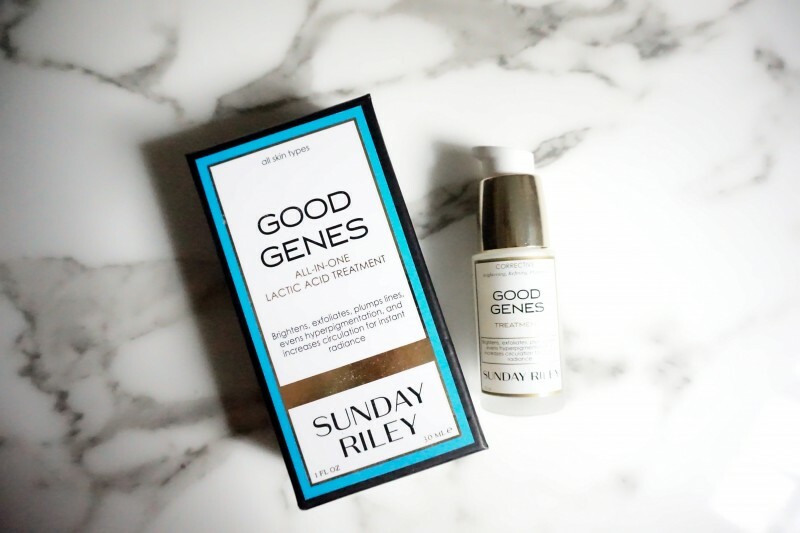 I also use a serum with lactic acid every two nights or so: Good Genes from Sunday Riley. Lactic Acid is safe and clinically proven to refine skin texture and help with dark spots (although it is worth noting that no product I have found, aside from prescription hydroquinone, has made a big improvement on my melasma). Good Genes is pricey ($105) but it tingles like it’s working and the glowy results are pretty immediate! It takes a really great product to keep me from returning it, especially if it is pricey, so it says a lot that I kept this one and now I’m 3/4 through the bottle! Sunday Riley Good Genes leaves my skin moisturized and with fewer lines in the morning. 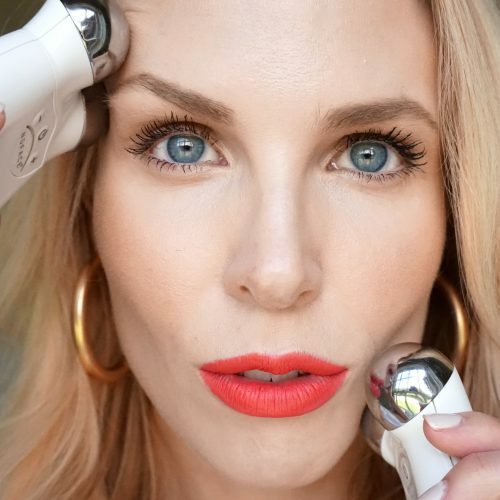 I’ve been trying different combinations of serums and moisturizers to see what protocol leaves my skin the most plumped and line-free. Every morning I survey the lines on my forehead (that usually reveal my skin’s dehydration level) to see how well the previous night’s combo worked. 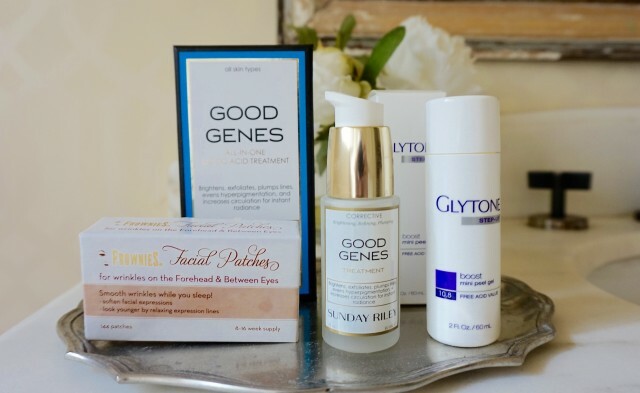 And the best combo I have found so far is the Good Genes serum, followed by Embryolisse Lait Concentre, a cult-fave and budget-friendly French pharmacy moisturizer. 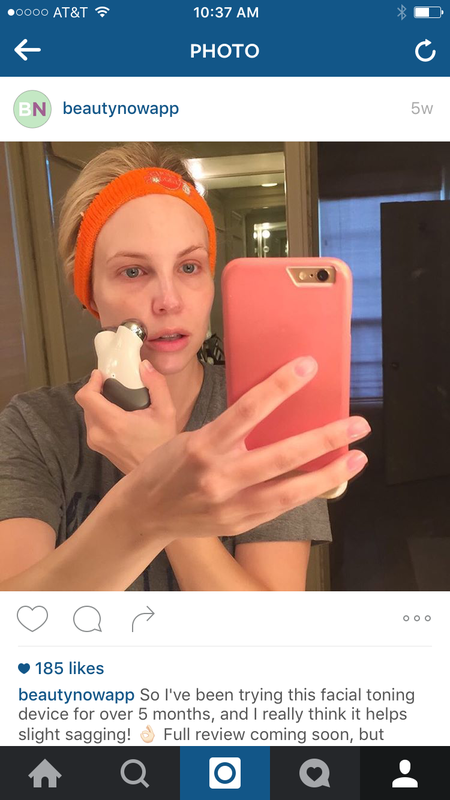 This is so silly/vain/embarrassing, but the other times I got pregnant, I timed it exactly to where I had just gotten Botox for my forehead lines (I have done Botox there since I was 27 years old). This time I was already way overdue for my Botox when I got pregnant. Oh no, I thought! My forehead lines are going to be out of control by the end of this pregnancy! 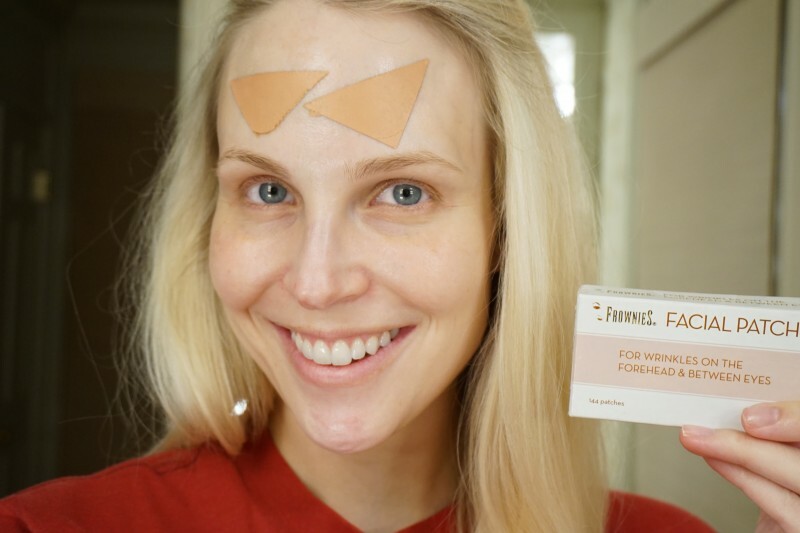 So as a pregnancy-safe alternative I have been religiously using Frownies, these stickers you put on your forehead before sleeping and it has really kept my forehead lines at bay! I’m not saying it is as effective as Botox, which paralyzes the muscles that are causing the wrinkles. But consider the fact that one makes expressions while dreaming at night, so preventing 8 hours of expression lines with a physical sticker actually goes a long way to smoothing lines. I’m on my third box of Frownies, and they are very budget-friendly! But you need to stick with it (ha! Punny) and wear them every night or the lines will reappear. 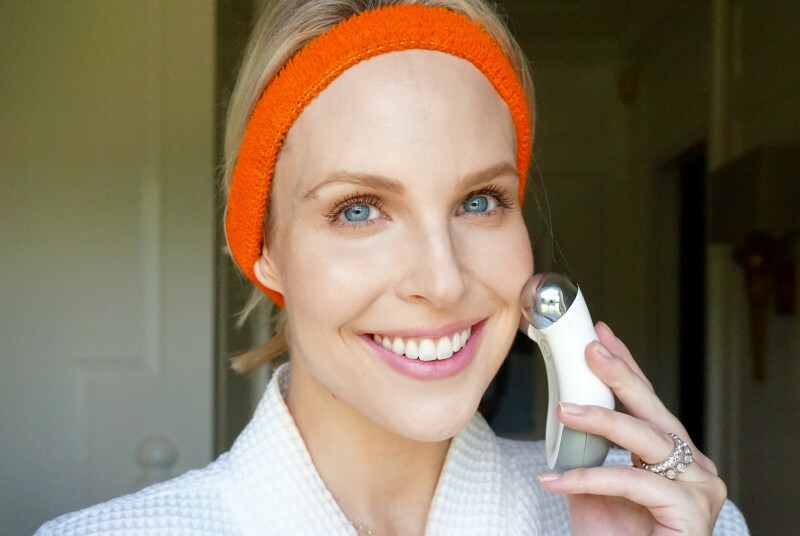 NuFace does not necessarily recommend microcurrent on your face during pregnancy, but I read a lot of medical literature on microcurrent and asked my doctor, and decided that for myself, I felt comfortable using it. (The conclusion I came to from my own research was that there is a theoretical increased risk of miscarriage from being exposed to microcurrent. 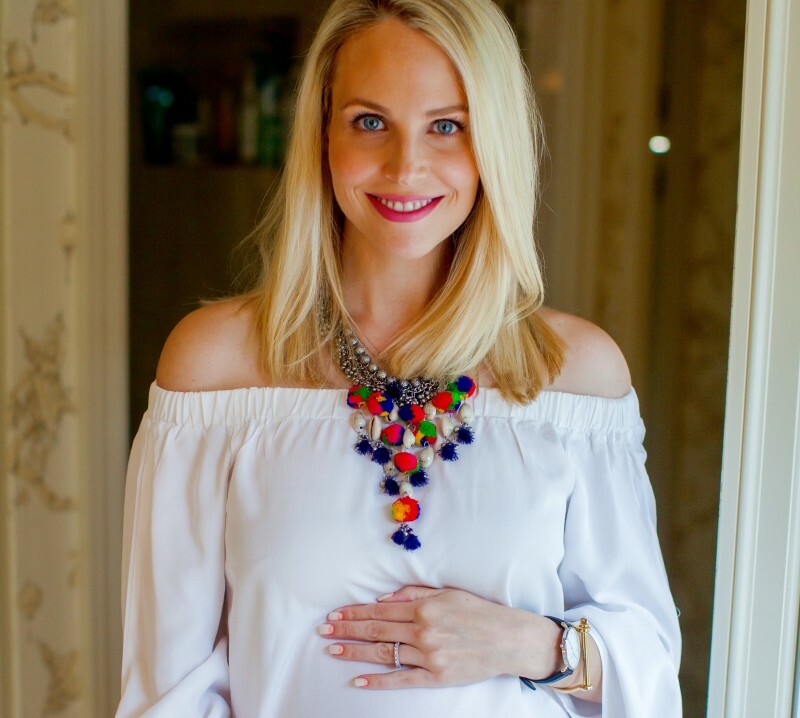 But the NuFace is used nowhere near your baby, so I decided after my first trimester, I felt comfortable using NuFace. Ask your doc). 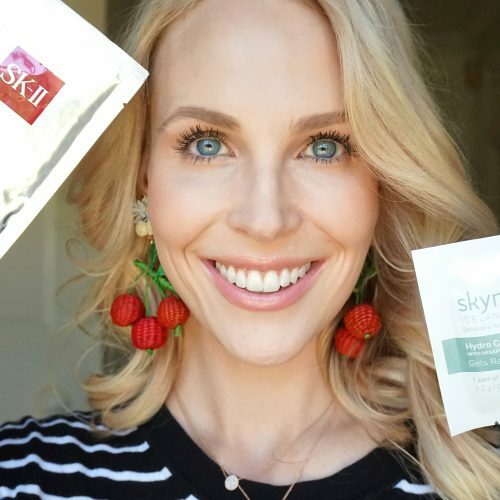 Keeping my pregnant face glowy and relatively line-free! Above is my look from a friend’s birthday party the other night. I’m wearing Too Faced Born This Way foundation, Kat Von D liquid lipstick in Melancholia (love this pale pink shade! ), Tarte Park Avenue Princess Bronzer, It Cosmetics Brow Power Universal Brow Pencil, MAC eye shadow in Woodwinked (bronze) in the crease, Clarins 3-dot liner in Brown, and CoverGirl Super Sizer mascara. 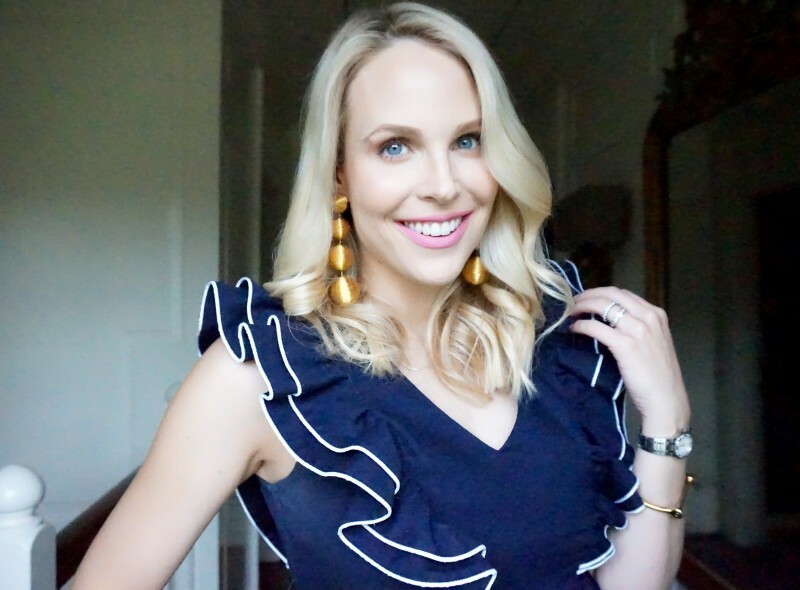 Also attempting to balance out my bump with ruffles, big curls (set with my longtime fave hairspray, Tres Semme Extra Hold in Level 4 [has to be the 4]) and new Rebecca de Ravenel Les Bonbons earrings.